We are all so busy this day and age. Majority of households today have 2 working parents. And time is so precious. Ordering your fruit & Veg Direct through Workfruit means the days of having to lug your children around to the supermarket or greengrocer to pay ridiculous prices for old produce, are gone. 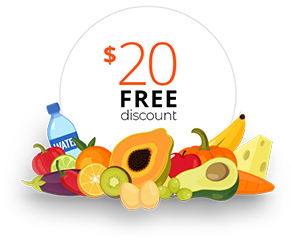 And of course we love nothing better than being able to cut the middleman out, to ensure you receive the freshest produce and removing one chore off your to do list, giving you more time with your family and friends. 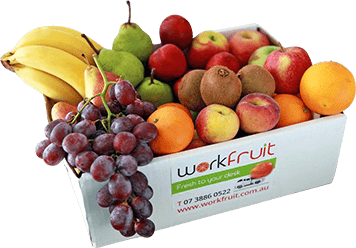 Workfruit deliver twice a week into the CBD and surrounding areas of Brisbane's workplaces. Delivering fresh local produce straight to your desk on Mondays and Wednesdays. Every Monday and Wednesday, our dedicated Workfruit drivers start their day at 3am, planning their deliveries across Brisbane as far out as Brisbane Airport. They are committed to bringing you your healthy fresh fruit and milk delivery as early as they can. However, on occasions if we have bad weather or the traffic has come to a stand still in the CBD, we can be slightly delayed. So please be patient and dont rouse the drivers... they are 100% dedicated to delivering your boxes as soon as possible. Ask and you shall receive... We love delivering fresh fruit direct to your office desk and continue to do so... ! So when our wonderful delivery guys arrive just let them know where you would like the box placed, either at the front door or even to your kitchen bench!